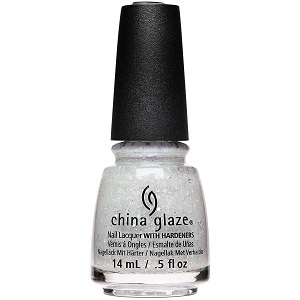 China Glaze Nail Polish, Don't Be A Snow-Flake, 1577, .50 fl. oz. Multi-sized holographic hex glitter in a semi-sheer, almost off-white, very light gray jelly base.